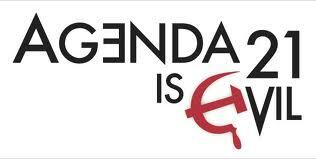 FDA EUGENICIST HAMBURG- STOP AGENDA 21-GET HER FIRED & FDA NDI GUIDANCE WITHDRAWN!!! 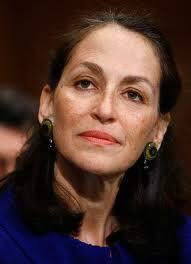 Eugenicist FDA Commissioner Margaret Hamburg is feeling the heat. Due to massive public pressure and pressure from the dietary suppelment industry, today the FDA extended the comments period on the treacherous NDI Guidance Document from October 3 to December 2. Copy and paste my comments to FDA and send them to FDA at the link provided below. Add your own comments to mine if you want. As you can see I am echoing attorney Jonathan Emord's incredibly hard hitting detailed comments (which give him standing to sue FDA in Federal District Court if they don't drop this matter completely as they should! FDA should immediately withdraw these illegal comments, which totally ignore the will of the people and the will of Congress as clearly expressed through passage of the Dietary Supplement Health and Education Act of 1994. DSHEA intended for there to be a simple notification system for new supplements. FDA is now attempting to turn that into a pre-approval scheme which Congress specifically sought to forbid via DSHEA. This threatens to block my access to many supplements that I need in order to properly safeguard my health, and it also threatens to make my supplements more expensive. This threatens to create unecessary and burdensome regulations that threaten to force between 20,000 to 42,000 dietary supplements off the market, while drastically raising the prices of all that remain. This threatens to put over 100,000 people out of work, to drive dietary supplement companies out of business. FDA has not made an honest effort to evaluate the economic fallout of this Guidance Document which must immediately be removed. I am demanding that Congress provide me with protection from the FDA via Oversight hearings. I am demanding that Congress radically cut FDA's funding, and that Hamburg be immediately fired from her job. I am also complaining about this to the Whitehouse comments line. 2. Go here to FDA's form to paste my comments and submit comments to them. Tell them that you have submitted your own comments to the FDA in which you have echoed the detailed legal comments of attorney Jonathan Emord who has standing to sue FDA in Federal District Court. Tell Congress that you want FDA Commissioner Hamburg fired immediately, and that you want congressional oversight regarding the NDI Guidance document! Tell them that FDA's extension of the comments deadline to December 2 is not enough, it must be withdrawn ENTIRELY! (Reach the US Capital Switchboard toll free at 1-877-SOB-U-SOB Ask for your Senators and Congresman in turn each time and reiterate all of these points. and also via the White House Comments line at 202-456-1111 Copy and paste the same comments you sent to FDA to Obama and to your Congressman and Senators. Tell Obama that you don't appreciate his efforts to injure or kill you or your family via FDA's criminal efforts to block your access to dietary supplements and that he must force FDA to completely WITHDRAW the NDI Guidance Document! . Let him know that Hamburg must be fired immediately! Tell Obama that you have joined Gun Owners of America The Life Extension Foundation and International Advocates for Health Freedom because you refuse to be genocided or in any way enslaved by the New World Order. Let him know that you are providing all of this information to his political opponents, and that you are so angry about this that you are assisting Ron Paul's Presidential campaign since he is the staunchest advocate of health freedom of anyone running. Forward this massively and post it to your site! If you appreciate this alert, please donate to IAHF via paypal or by sending a check or money order to: IAHF 556 Boundary Bay Rd., Point Roberts WA 98281 USA. Please encourage more people to get our free alerts at http://www.iahf.com where they can sign up!